Sometimes life and goals take precedence over blogging. Between the day job and a self-imposed deadline on a writing project—not to mention personal time with family—there’s just no time for a real blog post this week. I hope your week will find you well and happy and successful. See you next Tuesday! This entry was posted in my life, writing and tagged autumn, Wine, writers, writing. Bookmark the permalink. I would have included two glasses of wine, but my husband was drinking beer that day. 😉 The desk isn’t looking quite so tidy today, but still clean enough to do some writing this afternoon. Gray and drizzly today—I’ve been using the light box to hopefully good effect! Sometimes we need that break, whether it’s intentional or not. 😉 Next week we’ll see if it did me some good! Beautiful pics, JM. I know what you mean but your lovely home and wine looks very inviting! Have a great week, my friend! Thanks, Brigitte—you too! I’ve been missing your banter, and I hope all’s going well for you and that you’re getting settled into your new home. Life happens. 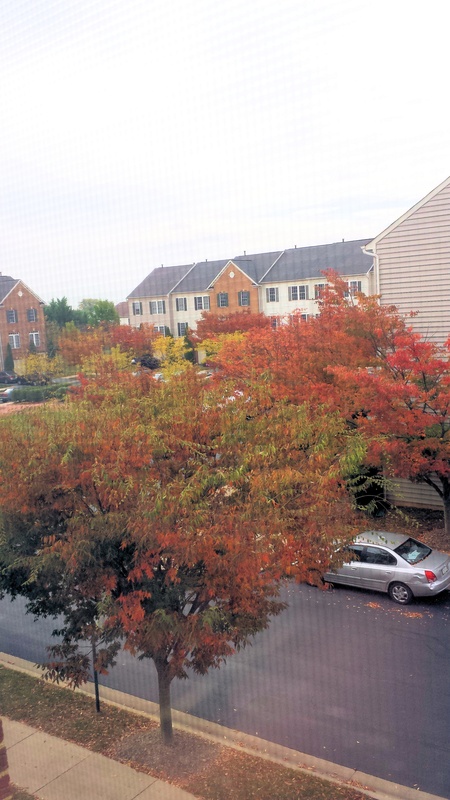 Love the progressive photos of fall — keep them coming please! I will keep taking them—and there are still lots of trees that haven’t begun their shows yet, so there should be more to come. 🙂 I’m hoping folks will enjoy next week’s posting…. I could never not reply to comments. 😉 I hope your recertification is going/will go/did go smoothly! That’s a heck of a lot more intense than the work in my life! And the sooner you can get back to it, the sooner we can read the published version. 🙂 And even though you won’t need it because you’re completely prepared, good luck on the exams! I’m waiting on one more early reader. Just heard good things from one yesterday, so that was nice. But I have a lawyer reading it to make sure I got the legal jargon right, and once I hear back from him, I’ll zip through it again and off it goes. Phew. Hey this post is poetry in motion…or novel in a way. I thought the posters in our dining room would be a good hint into one of our favorite beverages—to be enjoyed in moderation, of course! Thanks for the pictures. Enjoy your week and know you’ve made the right decision for you. Love your blog. Thanks, Karalee! I hope the focus on “real” writing will show some dividends for next week and beyond. I really want to use the NaNoWriMo energy around us next month to make progress on one of my WIPs. I hope your writing project is going well. JM, I’ve had my heat on since September 🙂 but, I tend to run cold. We’ve had some very mild temps so that’s been nice, but this week is already too cold for me. I’m ready though – I’ve got my flannel PJs, sweatshirts, and the heat on! Hope you get some great shots! Wine should definitely take precedence over blogging. Love your photos and hope you’re taking more time out to enjoy the colors while they last! Your tidy desk compels me to do some cleaning in my own study! Love the colors on the tree. My most pressing deadline is prep for Saturday’s Halloween party, so everything else is taking a backseat for the most part. Good luck with your deadliines! That desk shot is from earlier this year. Now there’s a rather large light therapy lamp taking up another chunk of the workspace. 😉 But I think I can “see” a difference with it. If nothing else, I seem to be staying awake until it’s time to go to bed at the normal time and then waking up at the right time. Even if I don’t notice a mood change, that sleep pattern is good in itself! Deadlines are good for the soul, JM. They put us back on track with ourselves and our work. Hopefully, your deadlines – self-imposed or not – are fruitful! LOL. I had one of those days this week. Luckily it corresponded with Halloween. 😉 Thank goodness for quick holiday posts. My other fav thing is a reblog. Way easier to put together than a brand spanking new post. The wine was nice. 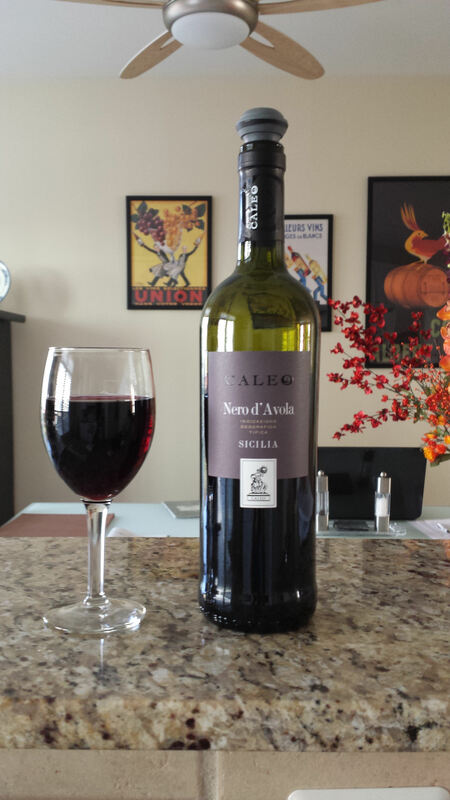 🙂 We’ve had several different reds from Caleo, and we’ve enjoyed them all. They’re not very expensive, and I think they’re good value for the money. I’m also glad to report that despite the increasing work load again, I am writing! I’m getting here late, but I love your work space. It looks as if, like me, you don’t prefer visual distractions. Although there appears to be a large window to your right, you don’t have it in front of you. You appear to be much more the master (or mistress) or your environment, however, and much better organized than I.
I can only take so much “clutter” in my workspace. If the words aren’t flowing, I’m too easily distracted from the work at hand. I should probably have a computer with no internet connection and no programs on it other than Scrivener and Excel. That would help even more. Luckily, the view from the window is simply townhouses and a bit of a commons area. How people work in settings with incredible views is beyond me. Good to see you back, Smak.